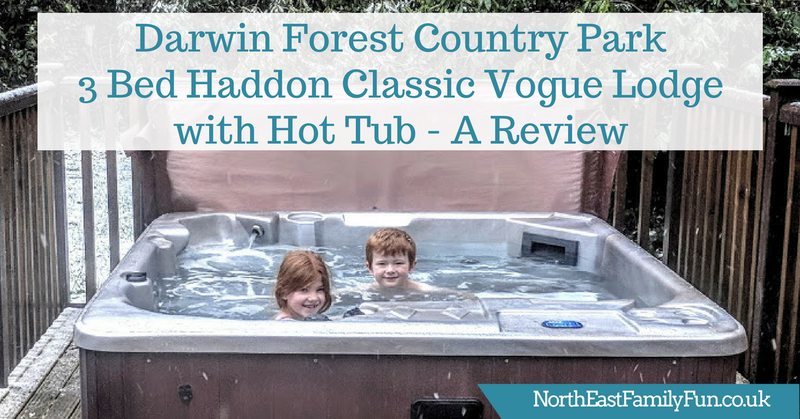 During our stay at Darwin Forest in the Peak District, I was really impressed with our Haddon Classic Vogue Lodge despite it being one of the cheaper accommodation options available (for real wow factor, check out 'The Glade' here). 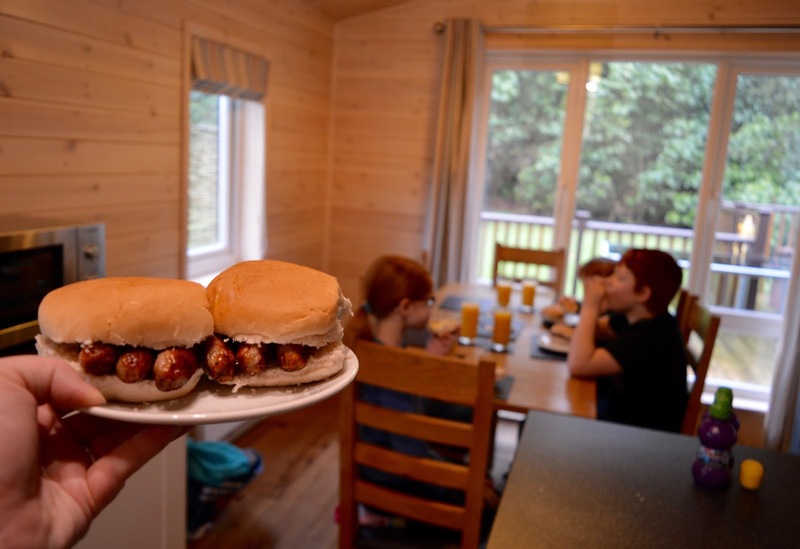 Our lodge was very well equipped and comfortable and perfect for a short weekend break with three kids. 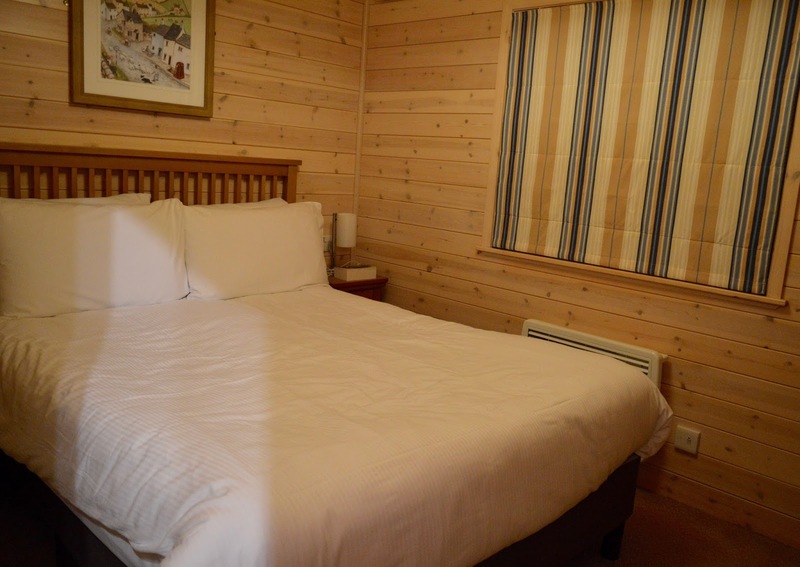 In today's post, I'm going to give you a little guided tour of our accommodation. We stayed in lodge 106 which is on the outskirts of the park and a lodge with the longest walk to the main entertainment complex. On a map it looked like it would be quite a walk but in reality it was less than 10 minutes and along one short path. Darwin Forest is a pretty small park and I think it doesn't really matter where you're located as everywhere will be close enough. 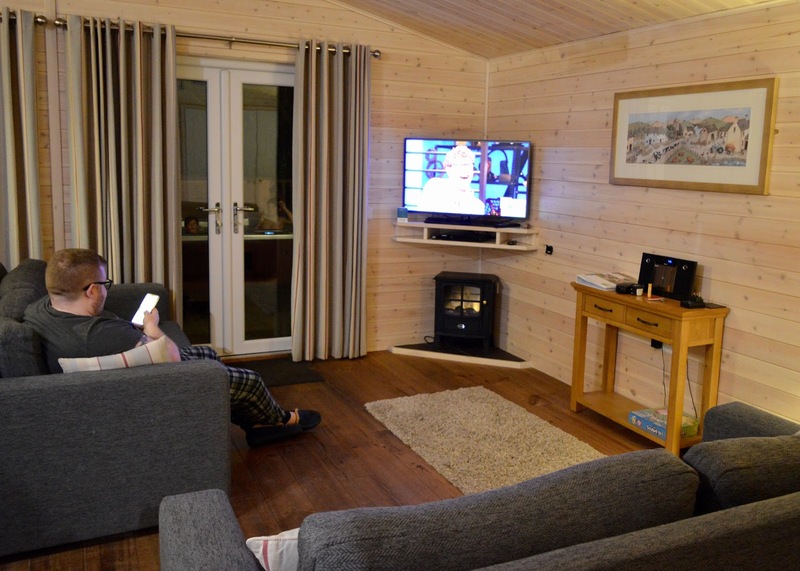 The main living area in our Classic Vogue Lodge was open plan with two sofas, a TV (with freeview), music system and faux-fire in the corner. The furniture was all of good quality and I loved the big patio doors and large windows that let lots of light in. 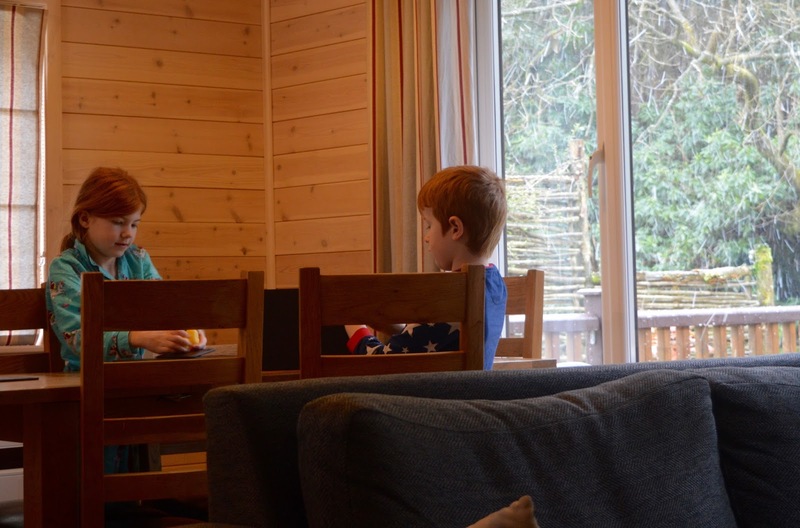 The lodges are super practical for forest life - I'm really not a fan of staying in lodges with carpets and kids as I'm always so worried about the mud they'll trail in - these lodges have that covered with wooden flooring throughout but are still nice and homely with their rugs and soft furnishings. We're on EE and could not receive any phone signal here, I wasn't planning on using Darwin Forest's WiFi if I'm honest but we found the connection to be pretty good - it's free for the duration of your stay and the kids could stream their YouTube videos and I could check Social Media without any problems. The kitchen/dining area was very well equipped too with every kind of pot and pan you could desire. 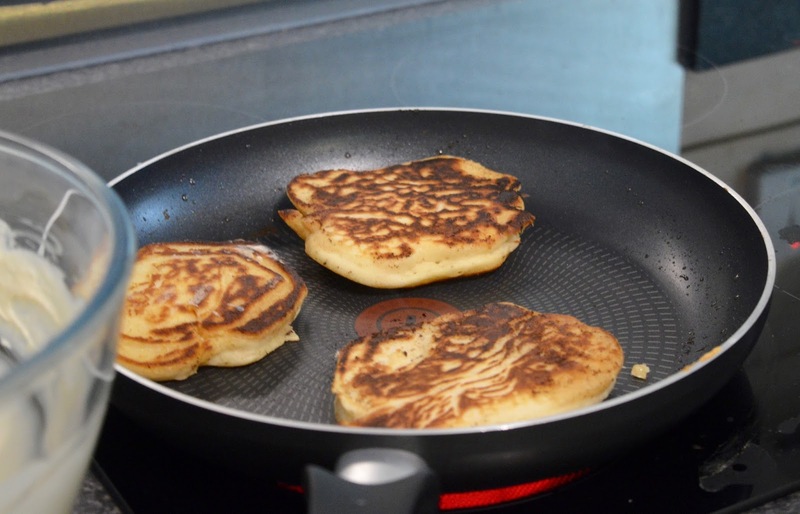 We cooked most of our meals in the kitchen and found it to be like a home from home. 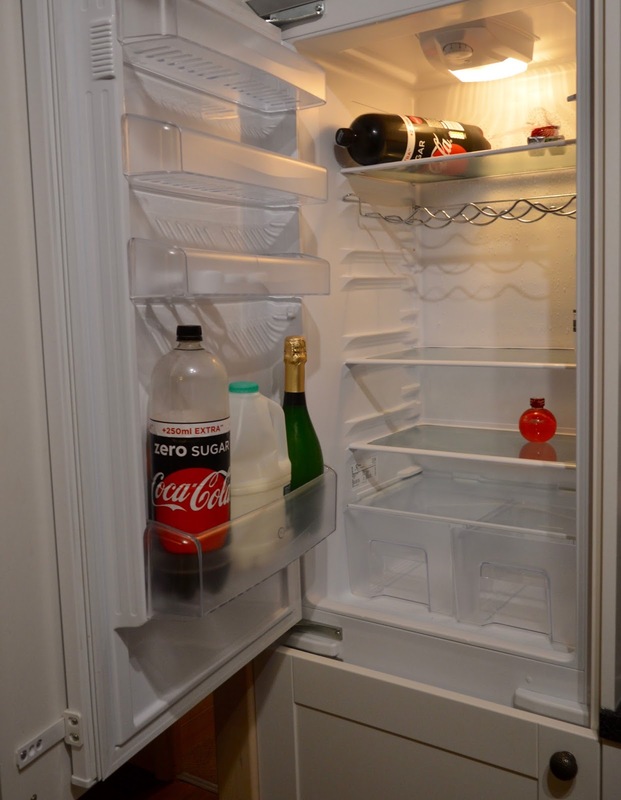 There's a full-size integrated fridge freezer, a dishwasher and even a washing machine too. We were given a little welcome kit featuring tea and coffee and a cleaning kit containing enough dishwasher tablets for our stay, bin bags, cloths and a few other bits and bobs. Perfect! There's also a vacuum cleaner and ironing board too. 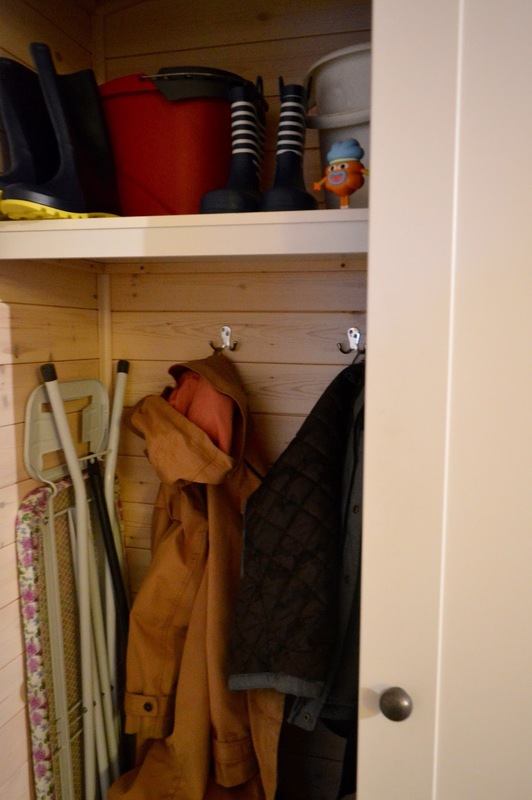 I'm not a fan of cleaning (especially on holiday) but I hate staying somewhere that doesn't have it's own vacuum cleaner - I like to be able to take care of the places we're staying in. 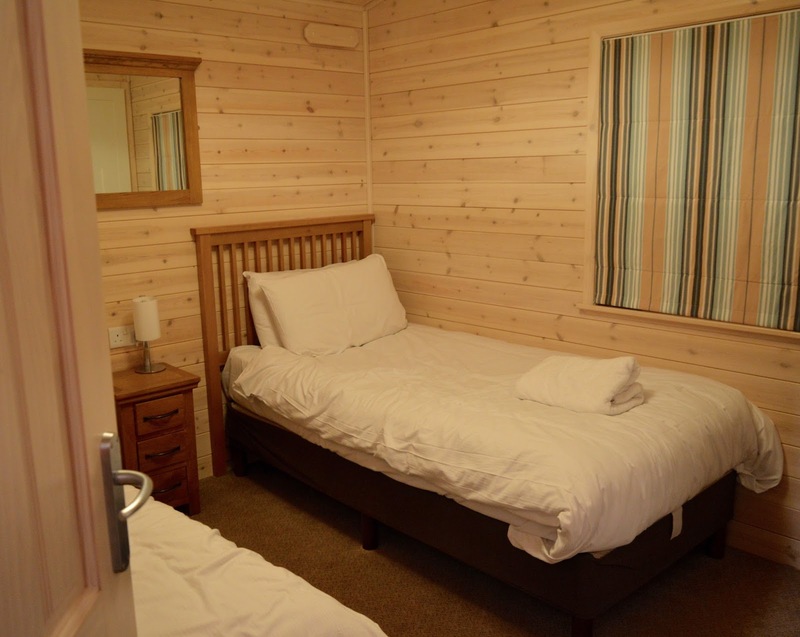 Our lodge had three bedrooms - beds were all made on arrival and were nice and comfy. I liked that there were plug sockets next to the bed and bedside lamps too. 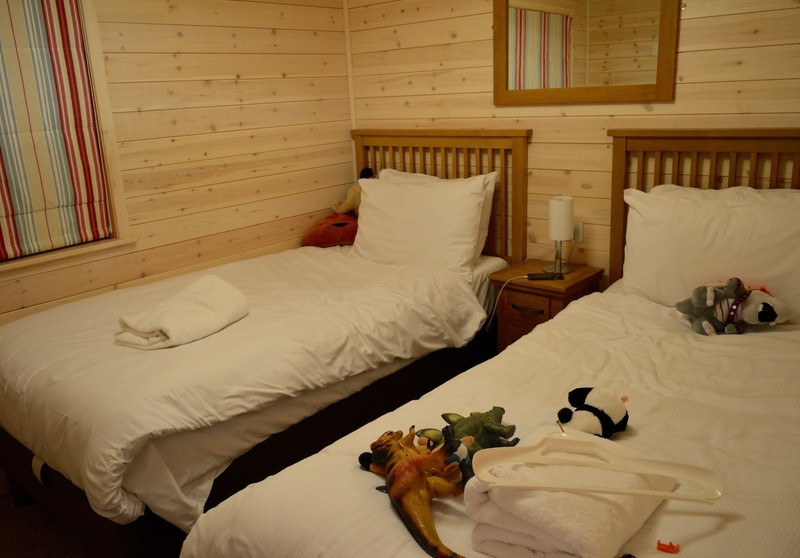 The heating in the lodges is via electric radiators and we stayed during a blizzard but were still nice and cosy - The only thing I would have liked was a blanket in the main living room for snuggling on the sofa. 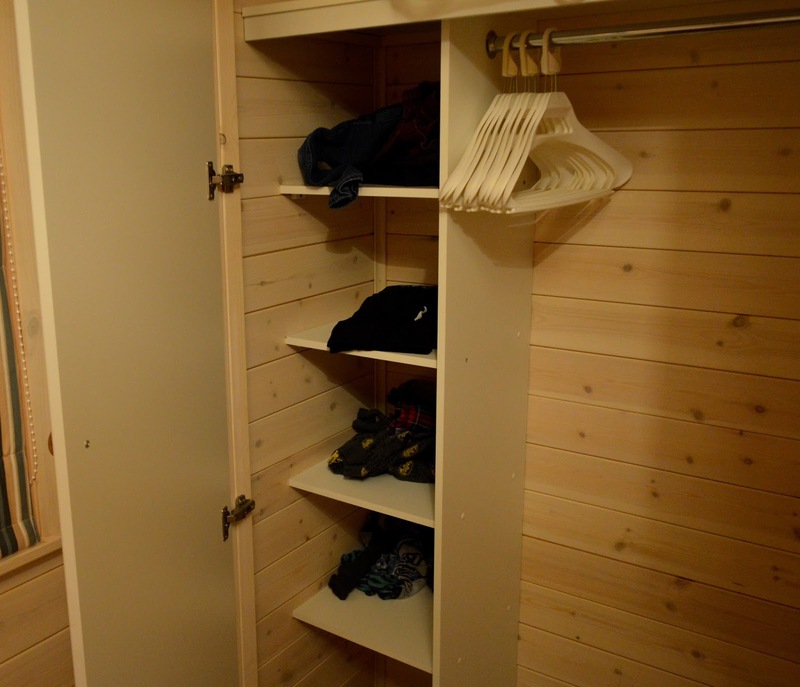 Each bedroom featured lots of storage with drawers and a full-size wardrobe - a family of 6 could easily stay here for a week and have plenty of space. 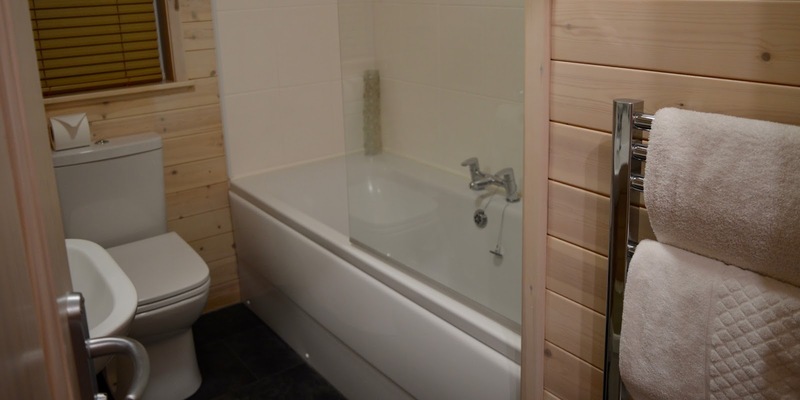 The 3 Bed Haddon Classic Lodge has two bathrooms - a main family bathroom with bath and shower plus an en-suite shower and toilet for the master bedroom. 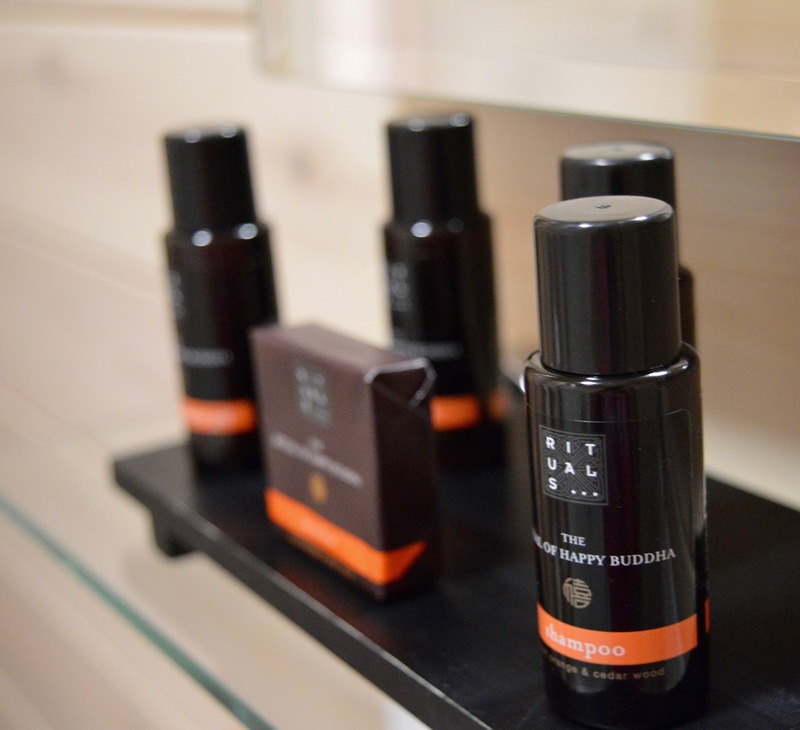 We were provided with towels, loo rolls and toiletries and the bathrooms were spotless. One thing I will say is the showers are only electric showers and weren't too powerful - they did the job but don't expect a power shower in the morning. 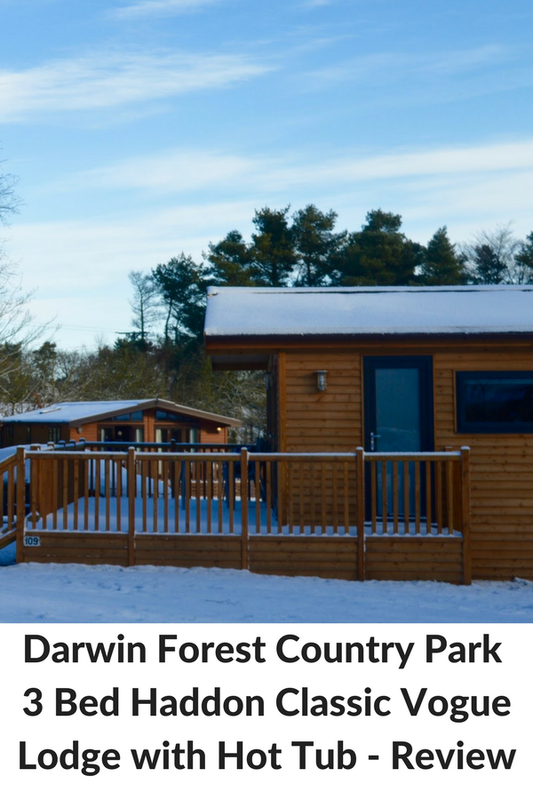 There is plenty of space around each lodge at Darwin Forest and the hot tubs were subtly enclosed with a natural screen so there was lots of privacy too. 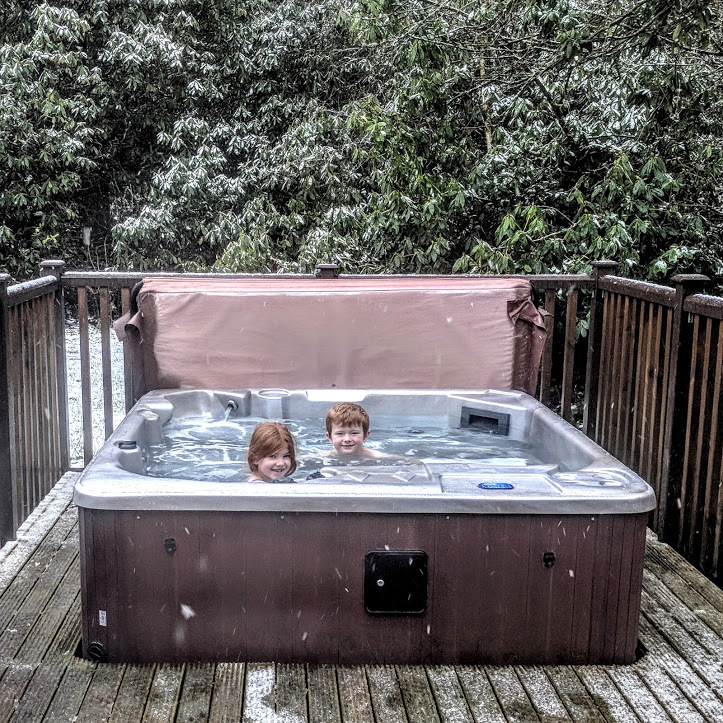 Our hot tub wasn't the hottest one I've ever been in or the fanciest but it did the job and the kids loved sitting out in the afternoons - even in the snow! Maintenance staff will check the hot tub twice daily for you too. In the evenings, Steve and I loved relaxing with a bottle of Champagne under the stars. It was so peaceful! 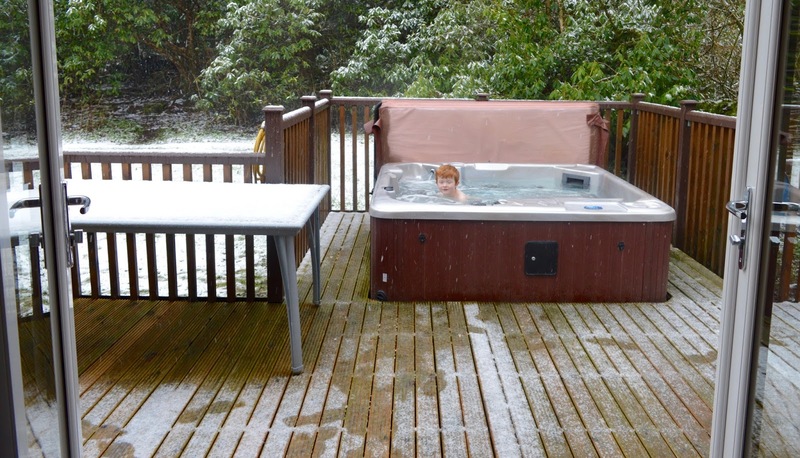 If you are wondering whether to book a lodge with or without a hot tub, I'd definitely say go for it. Cars can park right outside of lodges here (which I prefer) and although there may be a concern re: traffic, we really didn't find it an issue at all. We had a lovely decked area and then grass and woodland behind behind our lodge where the kids could safely play. Our decking was equipped with a table and chairs and I bet it's lovely in the warmer months. Sometimes when we stay in lodges I find storage to be a real issue but that absolutely wasn't the case here, as well as full size drawers in every bedroom and a full size fridge-freezer, there were also empty kitchen cupboards where we could store food (this is actually quite rare) and as we stepped in the door there was a huge triple cupboard where we could hang coats and store our wellies and shoes - super handy and practical. 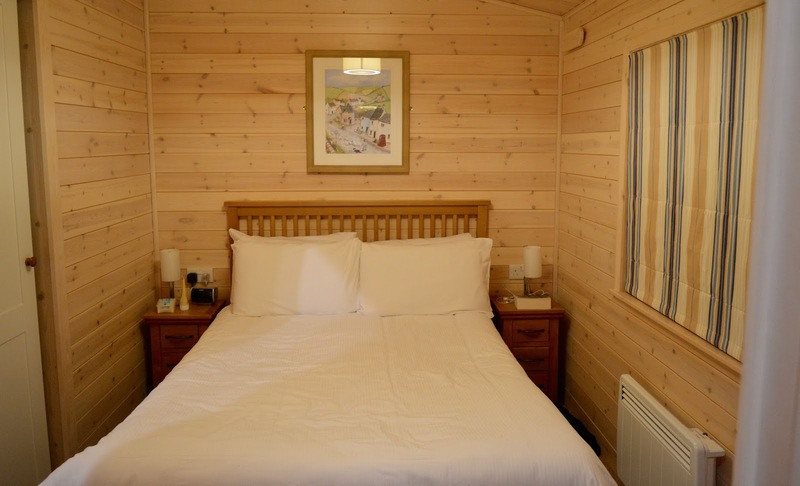 Our stay in a 3 bed Haddon Classic Vogue Lodge didn't feel overly luxurious and if you're looking for a luxury getaway I'd recommend booking a higher grade of accommodation. We found it to be perfect for our family though. 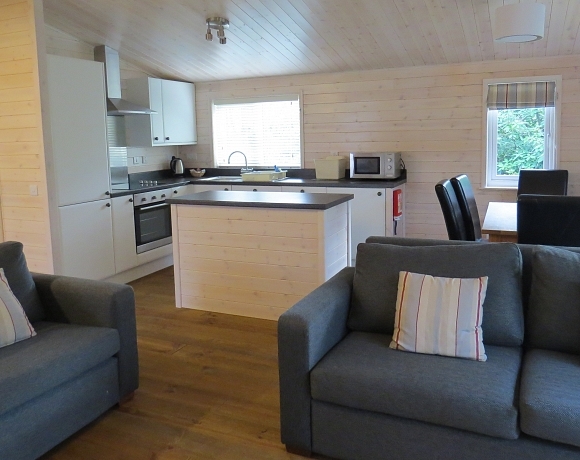 Classic Vogue Lodges are comfortable, kitted out with everything you need for a self-catering break, are very clean and very practical with lots of storage options for families. 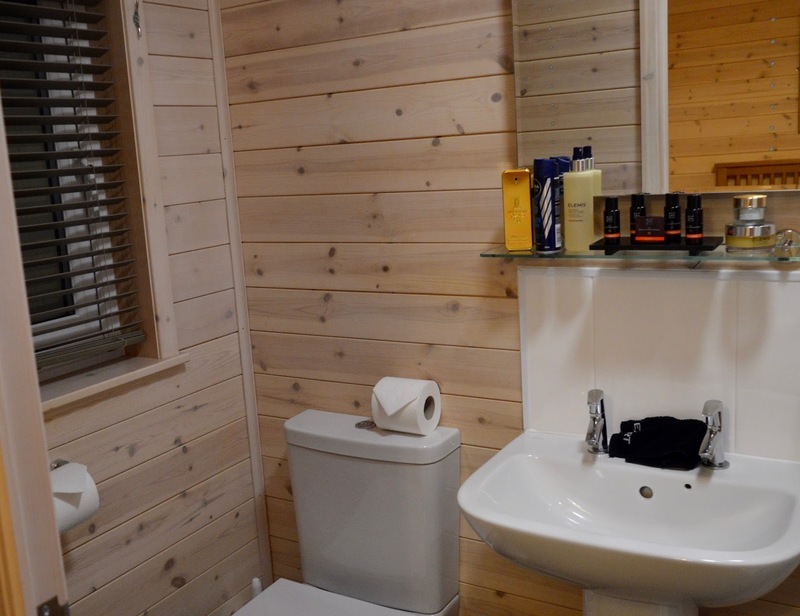 A Classic Vogue Lodge with Hot Tub is available to book from £409 (sleeps 4) to £449 (sleeps 6) and £589 (sleeps 8). If you're not too fussed about a hot tub, you'll receive a discount. 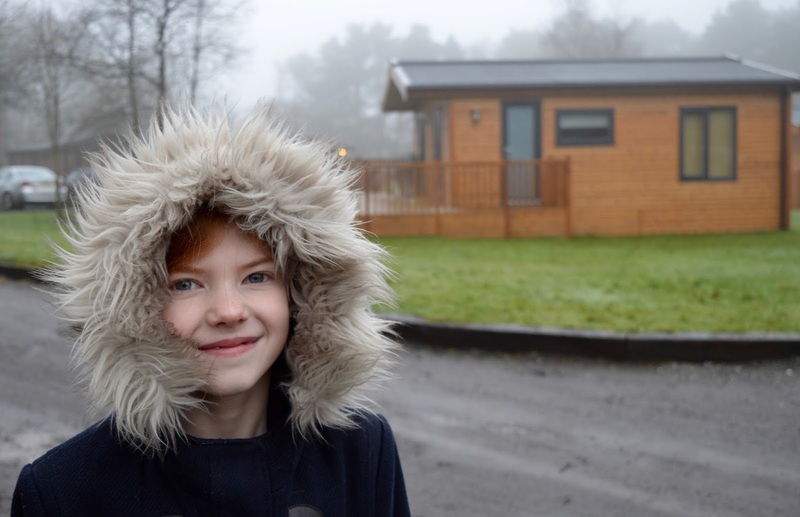 Find out more about Classic Vogue Lodges here. Not only can you enjoy a fantastic, well-equipped lodge at Darwin forest but there's also plenty to see and do too. 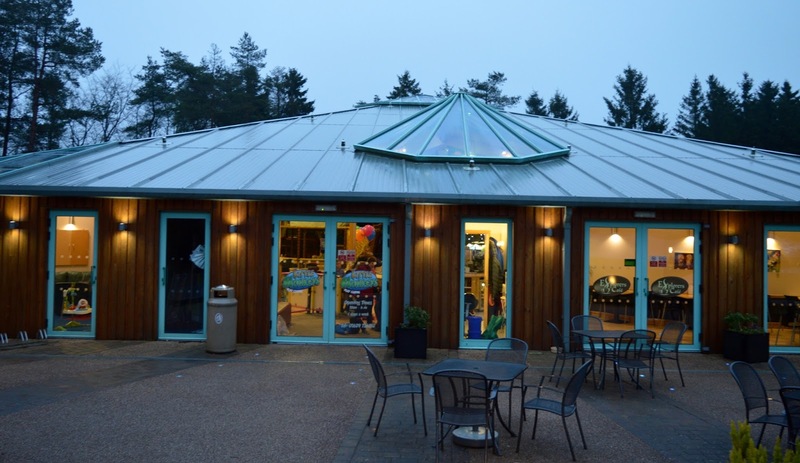 From free forest trails and outdoor adventure playgrounds to a cosy pub, restaurant and fantastic soft play to activities such as swimming, snorkelling and archery and even it's own spa. 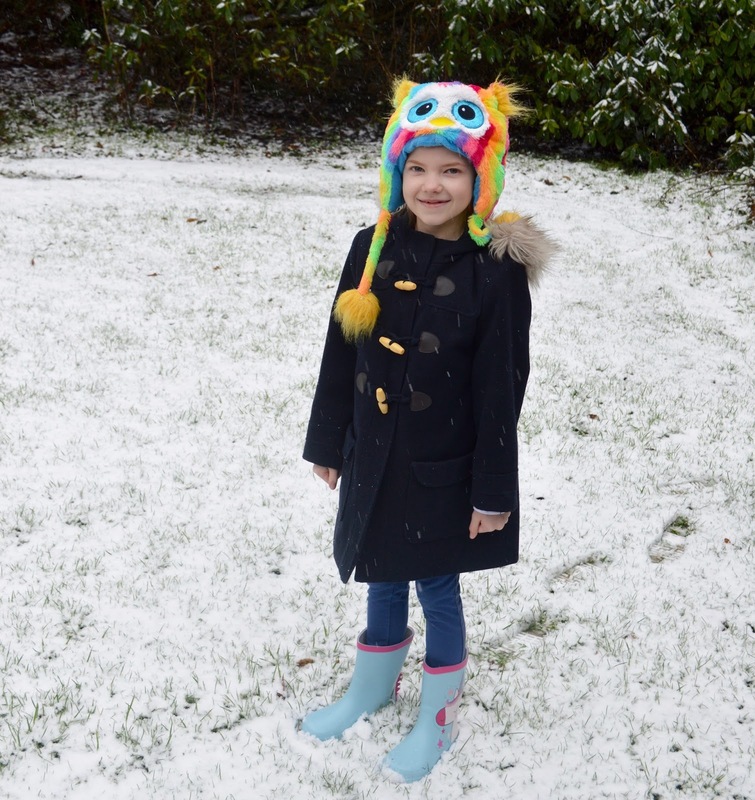 There's LOADS to do - read about our stay during bad weather and what we got up to here. Let me know if you like the look of these lodges. 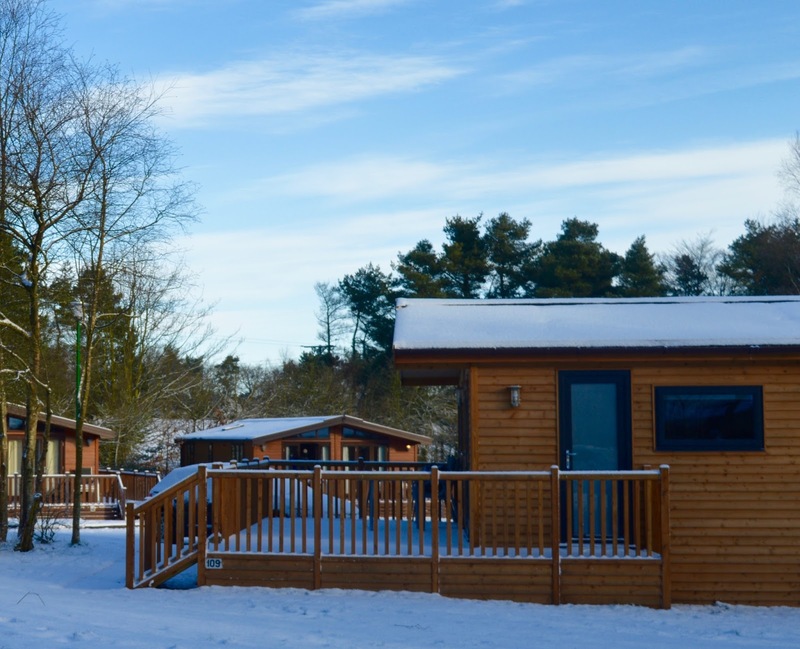 The lodge looks beautiful in the snow and I love the hot tub, drinking champagne looking at the stars sounds amazing! This looks perfect for us. We are looking for a few long weekend family trips like this, this year. I love that you have the others things on site to do as well. It sounds so convenient, perfect mini break. Your insta stories looked fun too.